Since Seattle is still in the midst of Snowpocalypse 2012, we bet you’re itching to get out of the house. As much as we love the white stuff, it can cause a serious case of cabin fever. 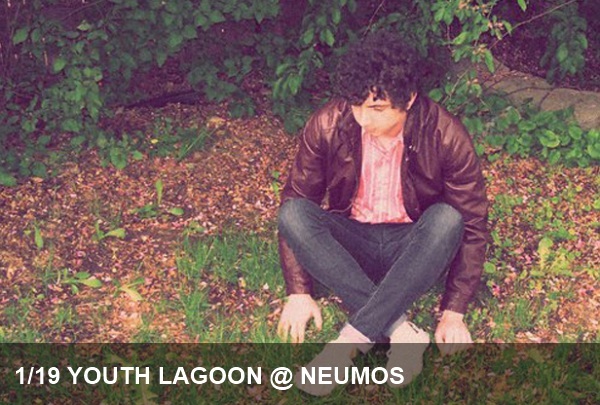 Youth Lagoon, tonight Monday’s recommended act, is Trevor Powers, a youngster from Boise, ID. His music serves as a coping mechanism for anxiety, which Trevor has been struggling with for years. Youth Lagoon’s tunes are like taking a dreamy, auditory swim through memories that you never had, but seem familiar nonetheless.